Cucumber powder has many benefits for the skin. It actually is a member of the same family as also. The juice from cucumber has both strong moisturizing abilities as well as mild astringent effects. Cucumber powder is soothing and helps relieve the puffiness of the skin. 1.Applied in the food feild, to be used as food additive added into various dishes. 3. 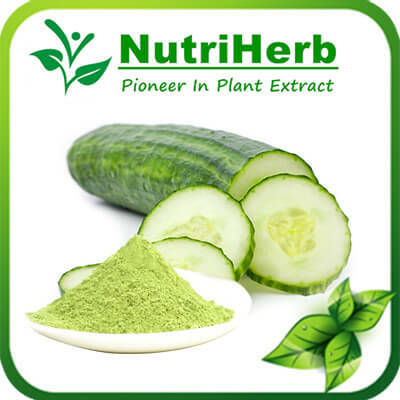 Applied in the pharmaceutical field, it can inhibit a variety of tumors and cure viral hepatitis.